Is the Tsogo Meal Replacement Worth it? Does Tsogo live up to its promises as a complete meal replacement? Tsogo is a company which has created freeze-dried products for a while now and their mission is to make sure nutritious foods do not go to waste; while changing the unhealthy habits we as a society have adapted to from our outrageous “processed food consumption”. Tsogo is taking a stand against the crazy obesity and high rates of illness we’re currently seeing. 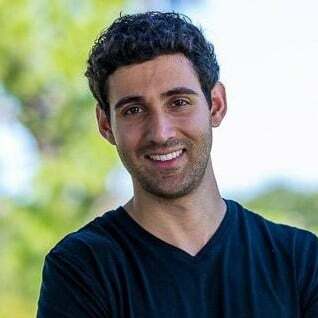 This is from the company itself…“At Tsogo, our bold mission is to reverse this trend and to get Americans feeling healthy, strong and energetic again”. The product has a long shelf life when unopened and is a popular product for anyone who likes to prepare for the unexpected. Tsogo is packed with a great balance of Protein, Carbs, Fats and essentially every vitamin and mineral you need, which means it should deliver on its promises right? What’s So Great About Tsogo? Each serving (2 scoops) of Tsogo contains 410 calories and is packed with a lot of the necessary macronutrients we need to survive. A serving has 17 grams of Protein, 42 grams of carbs and 19 grams of fat. There are also 12 grams of natural sugars which may be a little high for some people but at least there are no added sugars. Tsogo supplies 100% of the recommended daily requirements of B6, B12, Thiamin, and Niacin. All other essential vitamins and minerals supply 20% of the daily recommendation, which is very good considering one serving is equal to a fully nutritious meal. A dehydrated form of Honey, it still contains all the nutrients and antioxidants of regular Honey, while also acting as a great natural sweetener. Honey protects brain cell damage and is good for helping the body to absorb calcium. Honey is such an amazing food source from nature! A starch from the Cassava plant, Tapioca is a great source of Calcium and Iron for creating red blood cells necessary for oxygen and protein transportation within the body. Another benefit of Tapioca Starch is it contains vitamins necessary for healthy bones which can prevent bone disease like Osteoporosis. Besides these main ingredients, the product also contains cocoa, natural flavors, cellulose gum, salt, xanthan gum, and sucralose. As you can see, Tsogo has some pretty exciting ingredients. You get a complete balance of necessary macronutrients needed to function and improve your fitness levels. Other than a lack of Omega 3’s, Tsogo really can replace the majority of your meals. It has plenty of calories at 410 per serving (You could use less if you desire) and its long shelf life is an amazing benefit. 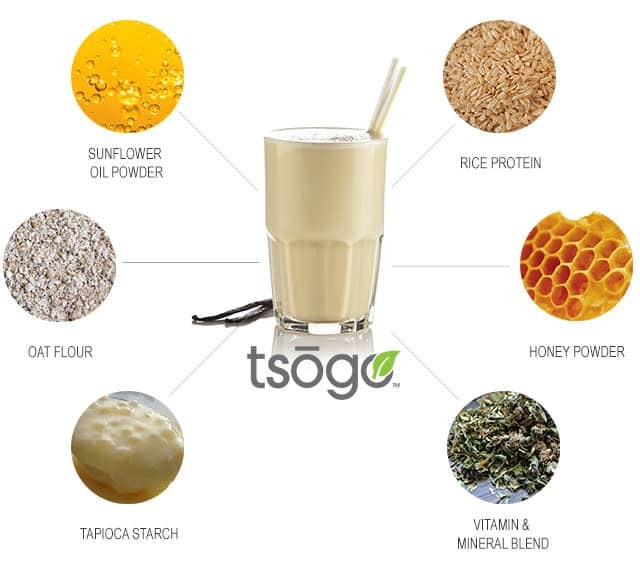 Tsogo beats out a lot of other meal replacement shakes due to its caloric density and a good amount of macronutrients but if you’re on a low carb diet, it may not be as desirable (Although you could cut the servings in half for a smaller meal). Now, the Sucralose A.K.A. Splenda is not exactly everyone’s favorite source for a sweetener, so this is also something to keep in mind if you’re “picky” in this regard. However, for most people, it’s better than having a bunch of extra added sugars. One pouch of Tsogo costs about $19.99 which will provide you with 5 servings of 410 calories per meal or 10 servings of 200 calories. This equals about $4 per serving (A little pricey) or $2 per serving (Great price) if you split up into 10 servings. If you decide to go with the 3 pouch option, it’ll cost you $60 for 15 servings which equates to $4 per serving. You can, of course, split up the 3 pouch size to 30 servings which will equal $2 per serving. 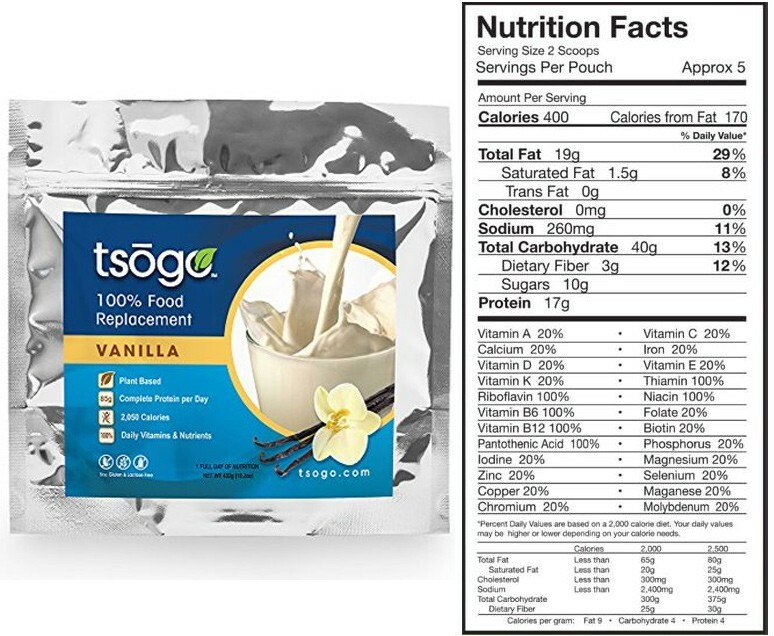 The full serving sizes (410 calories) are a little pricey and cost more than your average meal replacement but Tsogo is very nutritiously dense supplement while others are not as much. If you split the servings up into 200 calories, however, $2 per servings is a very good price per meal! I prefer Vanilla flavored supplements but this one was definitely a bit sweet for my tastes. It had a typical plant-based supplement flavor, which is usually heavy on artificial sweeteners, and the Sucralose proved to be a little overpowering. Tsogo already has 12 grams of natural sugars from the Honey and there could have been a better way to make the flavors stand out. However, the taste itself was not terrible and was decent for the amount of nutrition in the product. We discussed the complete nutritional contents of Tsogo and it sure enough delivered. It’s a viable option for when you need a quick meal and you can even replace your solid meals if need be. The Sucralose was the only issue since many people do not consume artificial sweeteners but it still has natural sweeteners. Also, the Omega 3’s are not sufficient but it’s not a complete deal breaker (Eat more fish or supplement). Overall though, the quality is as good as you can get with a meal replacement supplement. The sweetness from the Sucralose would be a deal breaker for many people and although it wasn’t the most enjoyable taste, it definitely could have been worse. The flavor wasn’t necessarily the issue as much as it was overly sweet. The shake mixes pretty well although it’s not the smoothest. It’s better when mixed with a blender but a shaker is good enough to get an acceptable texture. Most definitely! If you can get past the overpowering sweetness, there are hardly any products which can compete at the same level of what Tsogo offers. You get all your nutrients and vitamins/minerals with a healthy portion of calories too. Also, it’s free from dairy, gluten, and soy; which is a big deal to a lot of people. If you can get past the overpowering sweetness, there are hardly any products which can compete at the same level of what Tsogo offers. You get all your nutrients and vitamins/minerals with a healthy portion of calories too.